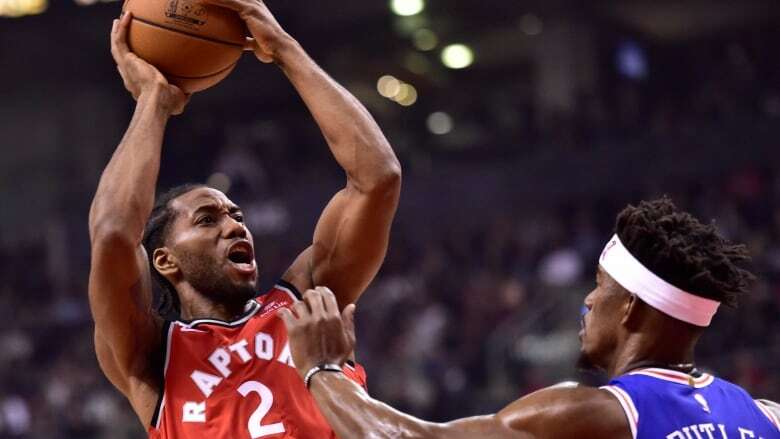 In the dying minutes of Wednesday's win, Kawhi Leonard hauled down a rebound and sprinted coast to coast, leaving the stunned Sixers in his wake as he threw down an emphatic dunk. Earlier in the day, social media was buzzing about ESPN's interview with Kyle Lowry, who didn't beat around the bush about the DeMar DeRozan trade and his relationship with team president Masai Ujiri. The Raptors, who were coming off a 106-103 loss to Denver, were once again plagued by poor shooting. Leonard connected on Toronto's only three-pointer in the first quarter, and the Sixers took an early nine-point lead.